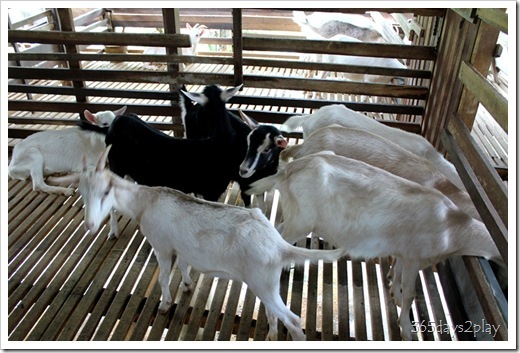 As part of the Zenxin Organic Park Tour package, we got to visit the LA Goat Farm in Kluang. For me, this was one of the highlights of the trip because I just LOVE farm animals! 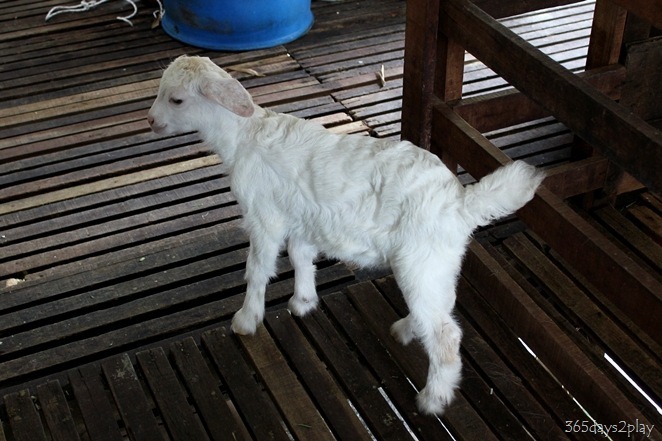 The goats were so cute, especially the baby goats!!! Furry and fluffy, I just wanted to keep on hugging them! Several of the little ones were on the loose roaming around. I suspect they are small enough to get through the enclosures that keeps the adults in. Yay for me because see no touch is a hard thing to do when they are so ADORABLE!!!! 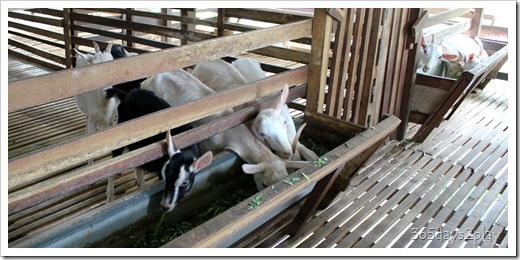 I know we have a Hay Dairies in Singapore where you can see goats as well. 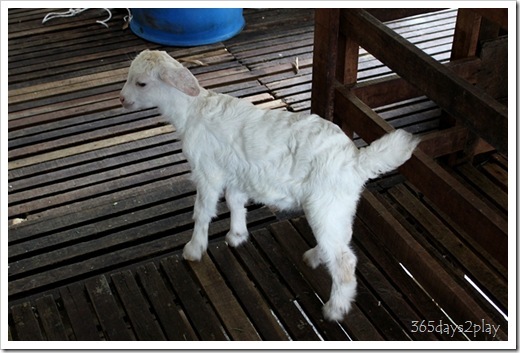 I’ve been to Hay Dairies several times but unfortunately I’ve never had the chance to carry a baby goat there before. Apart from petting and hugging the goats, we also tried our hands at milking the mother goats as well as bottle feeding the kids. This little one was a little wobbly on his legs after being carried for a while by me. Nowadays the kids start young. Don’t ask me what those 2 are doing. 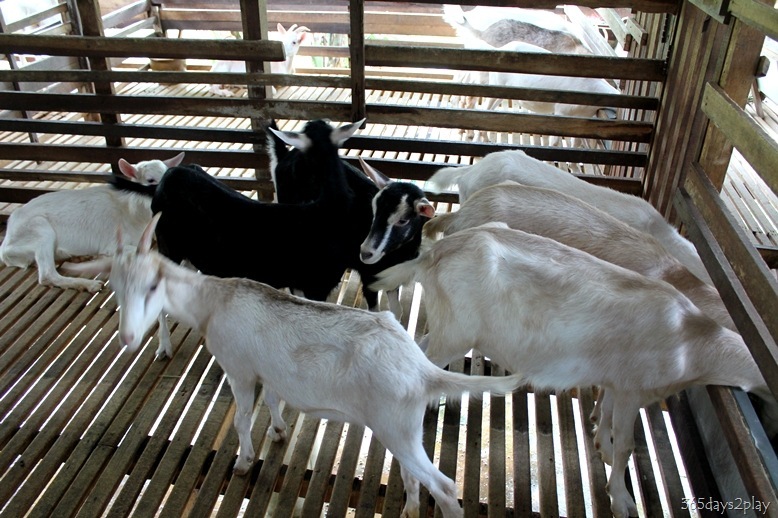 And the old uncle in the checkered shirt is the boss of LA Goat Farm.